There are three things I absolutely hate about exercising: I get bored easily, so I don’t enjoy repetitive workouts. Running 30 minutes on a treadmill? No thanks! Following a sequence in circuit training? Pass! I also don’t like being sweaty. I know—you can’t expect to exercise without sweating even a little bit, but it makes me uncomfortable to feel all hot and sticky. Lastly, I’ve always felt like my body isn’t built for an active lifestyle. I never excelled in any sport or workout class I’ve tried, and I’ve tried a lot. I essentially have had a different sport or workout every year, but I didn’t enjoy any of them enough to commit to them. Then came barre3, which I heard about from a cousin who swore she only really lost weight when she tried this workout. It’s a 60-minute total body workout that aims to create the strength of an athlete with the long and lean lines of a dancer. It combines the grace of the ballet barre, the wisdom of yoga, and the strength of Pilates. Aside from shaping the body, it also improves core strength and has long-term postural benefits. It sounds like every frustrated-ballerina-slash-girly-girl’s dream come true, am I right? The first thing I noticed upon entering the studio was how mabango it was. With its steel barres and cork flooring, it even looked like a ballet studio except it was fully stocked with dumbbells, yoga mats, and fit balls. The best part? There was air conditioning! It really felt like I was going in for a spa treatment instead of a workout class. One thing I appreciated about barre3 was how I was able to modify the workout based on my skill level as well as on how I was feeling that day. Push-ups and planks are usually done on the floor, but since I wasn’t feeling up for it, I did mine at the barre instead. I also ditched the dumbbells when they got too heavy. The instructors were very hands on; they helped me adjust my posture and cheered me on when I was so close to giving up and walking away. 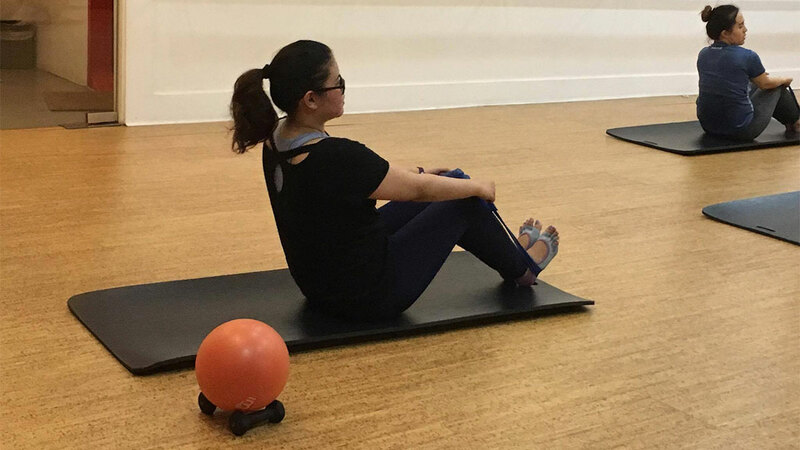 Throughout the class, I had time to recover and take quick breathers, since the workout was designed with alternating high-intensity and low-intensity movements. As with most workouts, the recommended frequency of attending barre3 classes is thrice a week. I admittedly only go once a week because of my schedule (read: katamaran, LOL), but I can see progress nonetheless. I haven’t been checking my weight so I can’t speak for that aspect, but I know I’m getting stronger. I remember not being able to move the day after my first barre3 session—I left my bedroom with only one arm properly inserted into a sleeve; I didn’t wash my hair because I could barely lift my arms, and I canceled my plans for the evening because I really couldn’t move. But now, my body hurts for a few hours, and when I’m lucky, not at all. If you aren’t into rough, high-intensity workouts (like me), give barre3 a try! 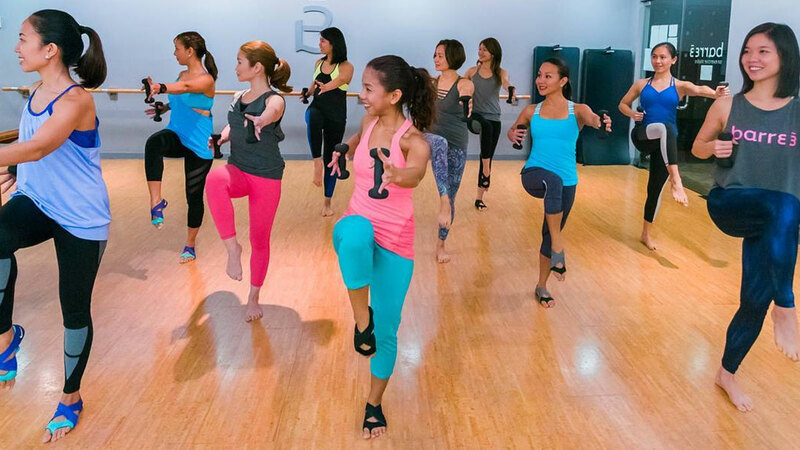 Barre3 studios are located in The Spa branches at The Fort, Greenhills Promenade, Shangri-La Mall, Alabang, and TriNoma. Visit barre3.com.ph for more details.